A half-day workshop – Greening of the Archdiocese and Business, was organised by the Archdiocesan Office for Environment, Mumbai together with the Christian Business Forum, Mumbai on 1st December 2018 at Sarvodaya in the St Pius Campus at Goregaon, Mumbai. Sixty-nine people from over fifty organisations participated in this workshop. A two-day workshop, organised by the Archdiocesan Office for Environment, Mumbai together with the Office of Human Development – Federation of Asian Bishops’ Conferences was held for Parish Green Teams on 22-23 September 2018 at Sarvodaya in the St Pius Campus at Goregaon, Mumbai. The fifty-four participants represented twenty-one parishes / organisations throughout the Archdiocese of Bombay. 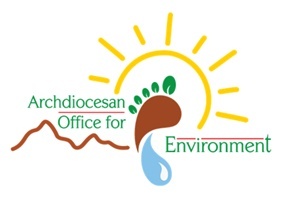 The Archdiocesan Office for Environment (AOE) in collaboration with Women’s Commission of the Mumbai Archdiocese organised two one-day Conferences on “Climate Change Impacts on Women” on 29th and 30th April 2017.